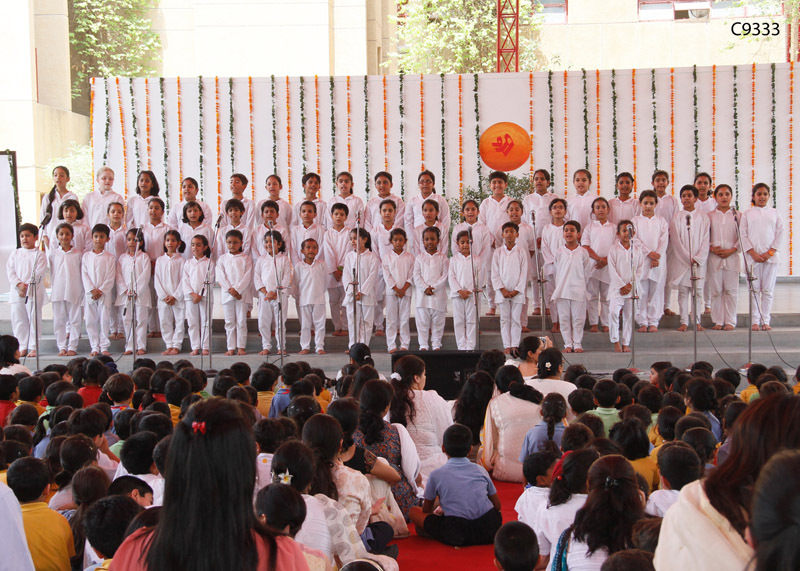 The school provides facilities and infrastructure that reinforce and promote learning, the hands-on experience for various activities as well as enhance curiosity & imagination in the students. In the contemporary world, a computer is indeed the most powerful tool of learning and to help our students not only access but successfully navigate the learning resources made available by modern technology, ICT driven learning is a must. 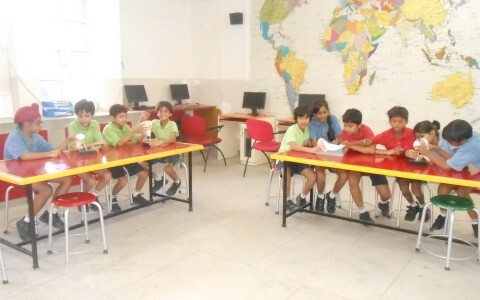 In school we have a fully equipped ICT Lab and each student is allocated hands on time; the IT curriculum dovetails with the curriculum across academic disciplines for each grade. 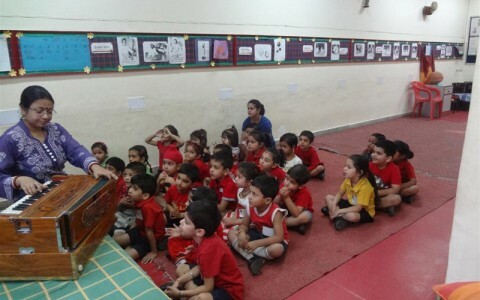 This seeks not only to develop subject knowledge, but also to develop skills related to finding, processing, analysing and presenting ideas/ information. Equipped with resources to provide a ‘hands-on’ learning experience to students, the lab has all the necessary apparatus to enable the students to navigate the grade wise science/ EVS concepts with ease. 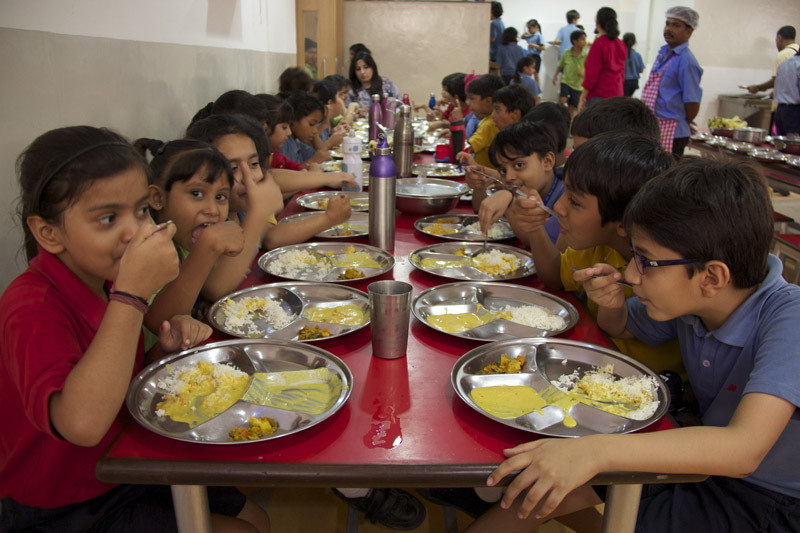 A vegetarian lunch is provided for all students and staff on all working days in the school’s Lunch Hall, capable of serving 230+ persons at a time. 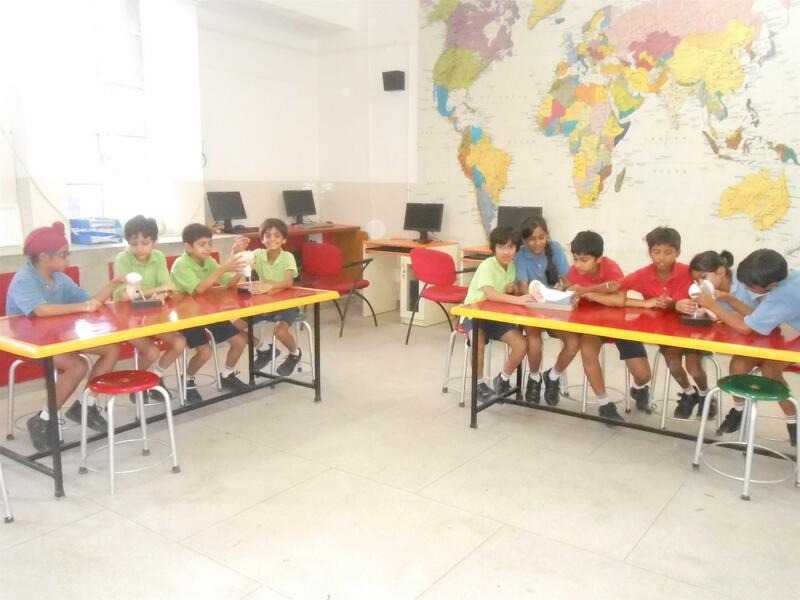 The food is wholesome and nutritious, the menu being designed by a qualified dietician. The staff serving food to the students in the lunch area wears gloves and hygiene caps. The water coolers that dispense drinking water are cleaned weekly and the centralised RO water filter is cleaned monthly, by way of its AMC. 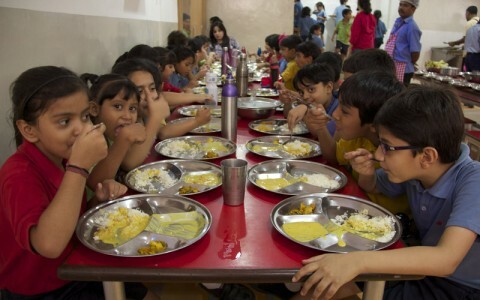 The food served to the students as well as the drinking water provided to them in school are subjected to regular testing. 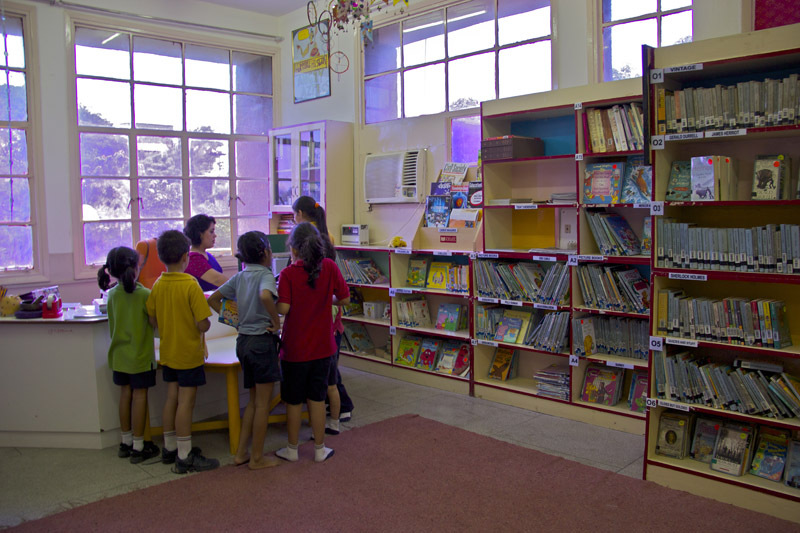 The campus lays claim to a well stocked Learning Resource Centre, with more than 15000 books for children and adults. It subscribes to various magazines & periodicals covering varied topics and stocks CDs/DVDs with subject related content. 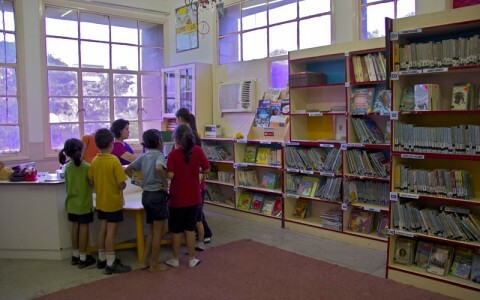 Teachers use the library to supplement their teaching lessons with facts and references from around the world; parents are welcome to access the resources on parenting and other relevant topics. 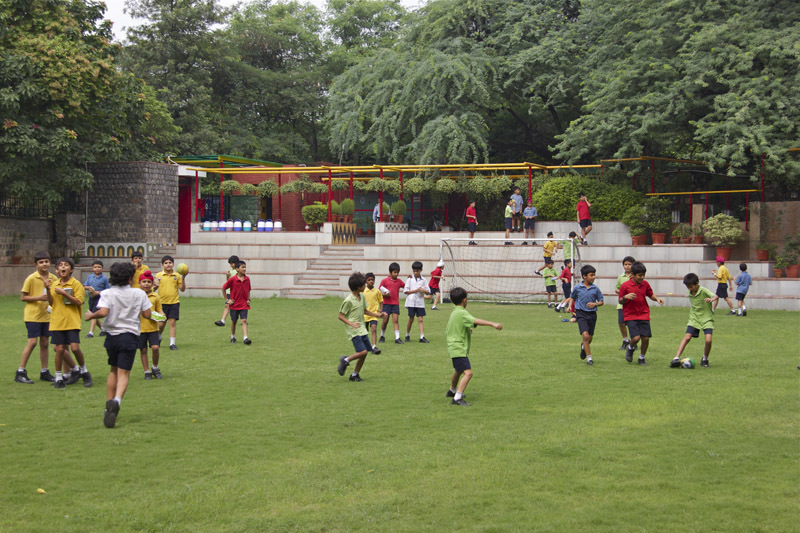 At The Shri Ram School Vasant Vihar, sports curriculum is an integral and compulsory part of the education process. 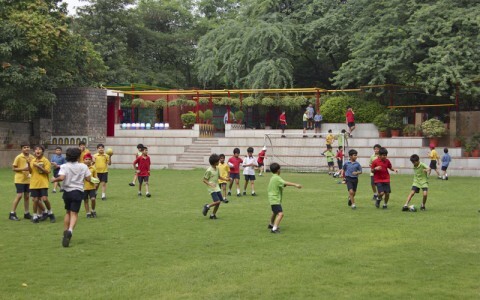 A basketball court, a badminton court as well as a cricket pitch in addition to the school’s soccer field ensure that the school’s students have the apt facilities to give expression to their abilities at different sports. 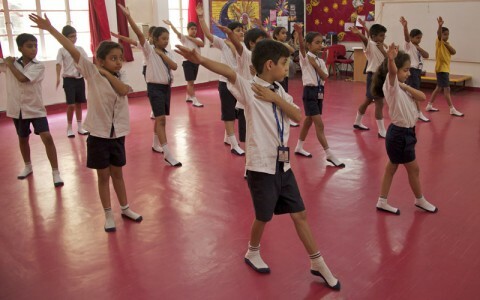 Yoga classes are held in a room designed for that purpose. 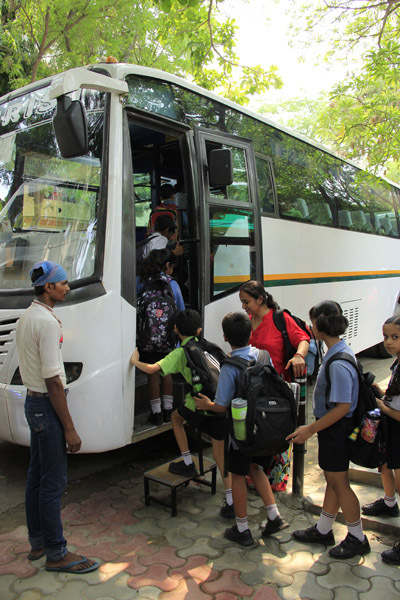 TSRSVV provides safe and reliable bus transportation to students who wish to avail this facility. 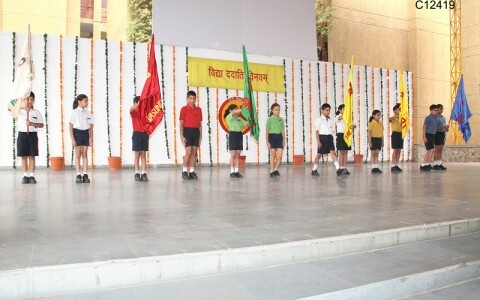 The school plies buses on 9 bus routes, including one which serves the Gurgaon area. 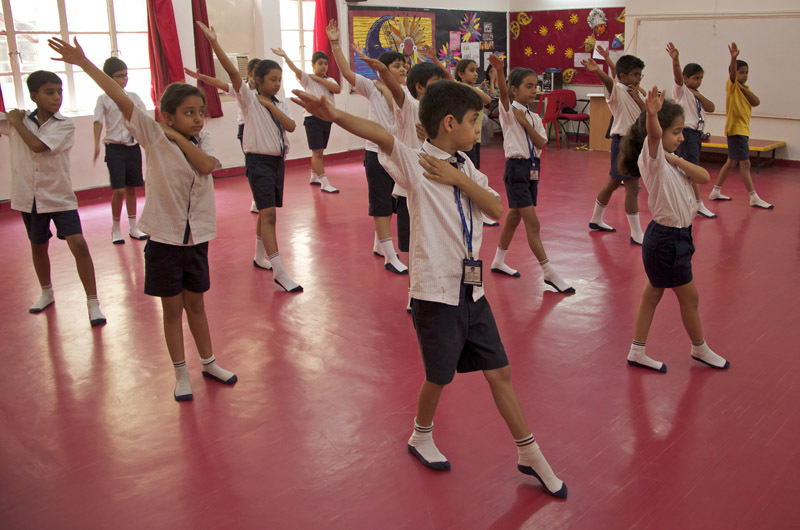 The school has provided for an attendant on each of the morning and afternoon bus routes, they carry a mobile phone with them and the buses are also equipped with GPS, therefore the safety of the students on the bus is ensured. Buses are also provided with medical kits. 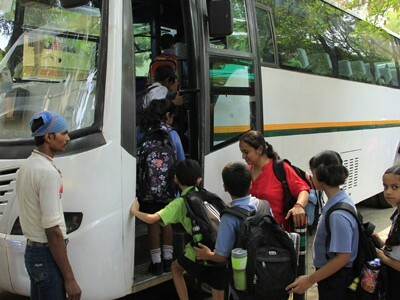 In the afternoon, students using the bus are escorted to the buses by teachers on duty, after taking attendance, ensuring no student misses the bus and each student reaches the correct bus, safely. 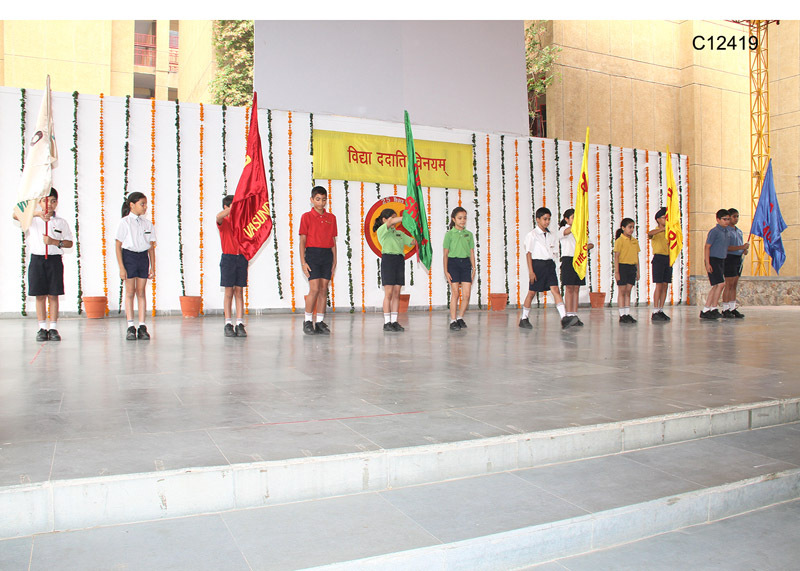 Designated as ‘Shri Manch’, the open air auditorium, with a seating capacity of 600, is the venue for most events at the Vasant Vihar campus. 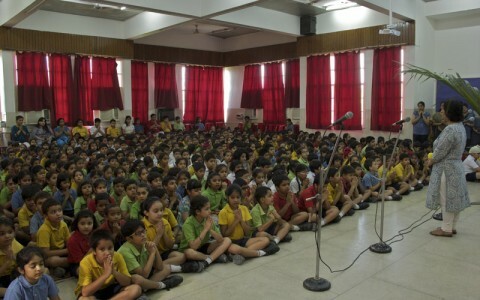 Whole school assemblies are also held here. 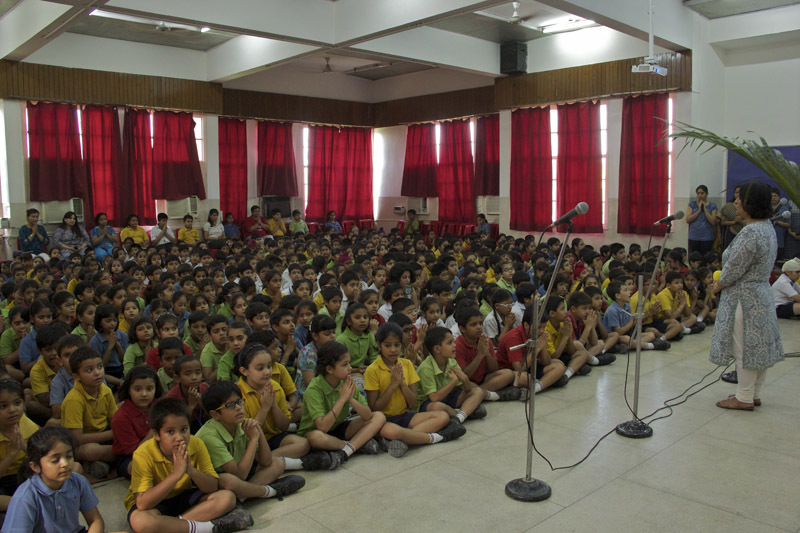 The school also houses a small indoor auditorium, with a seating capacity of 250, which is the usual venue for all school assemblies. 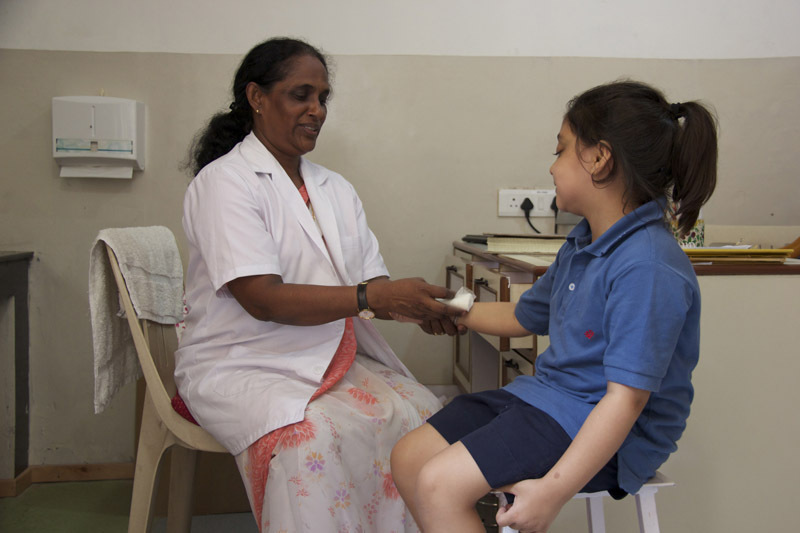 An essential feature of every school, a medical room, well equipped to handle emergencies in the hands of the School Nurse is also available on campus. 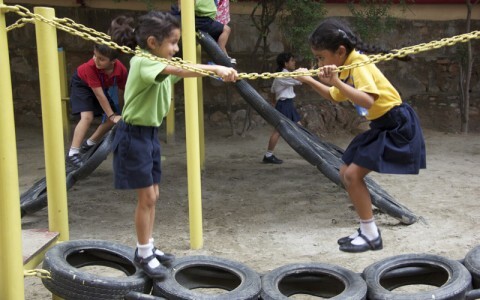 The school has a tie-up with a neighbourhood hospital in case of need. 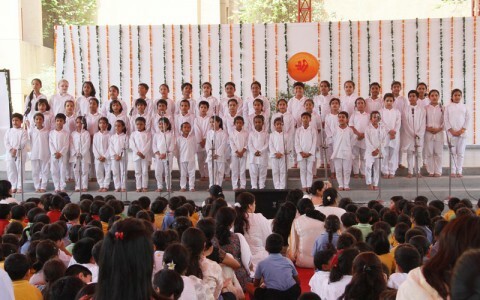 Medical Records are maintained for each student and an Annual Medical Examination is conducted by the school for each student, with parents being sent a report for follow up action. 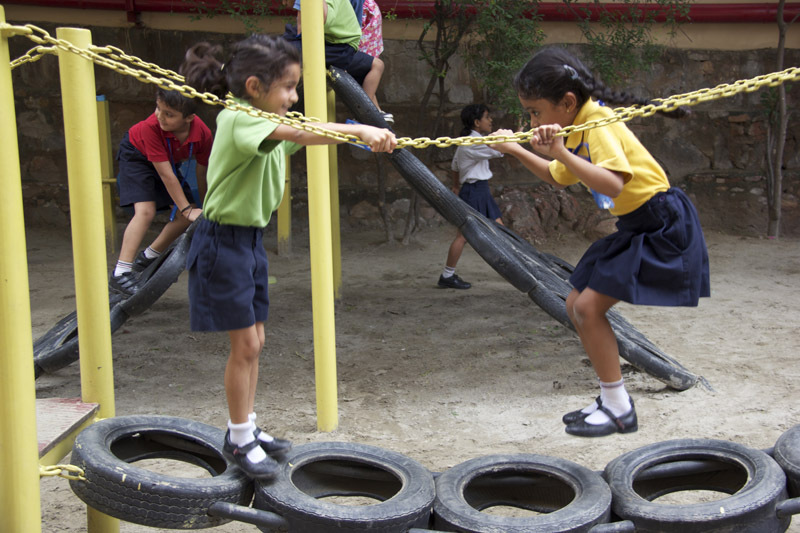 The Tyre Park comprising swings and slides of different kinds is the source of joy for many of our younger students. 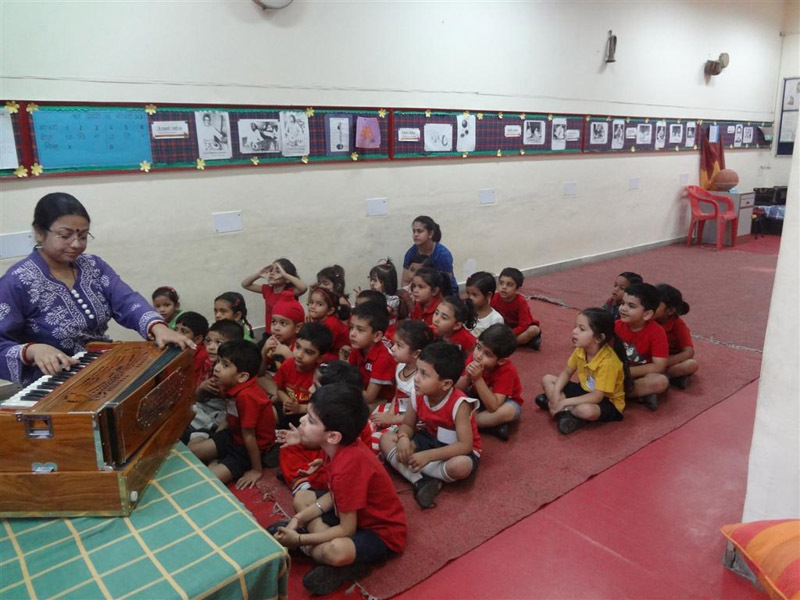 As the performing arts & visual arts are an integral aspect of education at school, infrastructural facilities have been designed to ensure effective & impactful delivery of the curriculum in the diverse performing and visual arts.